Hi Everyone! It´s Friday finally, which means that I definitely have some time to do the things I love... It´s been a very busy week for me. It all started on Monday with my work, continued with my school and then it all ended, as you may have seen on my Instagram account, today with my job again. Unfortunately, lately I´ve been over loaded with all my responsibilities... Anyways, I hope that your weeks are not so stressed like mines and so you can find some time to shop, too. After all, women, and also some of the men, never have enough pieces in their closet. 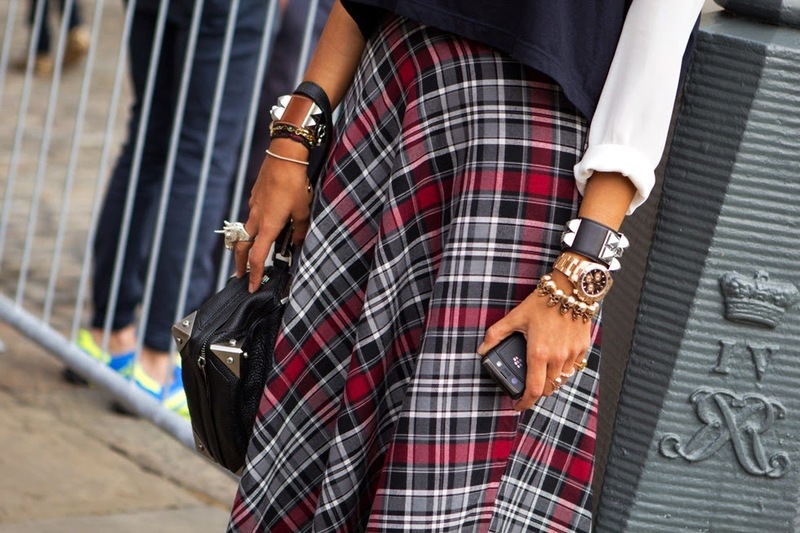 Check print/ tartan/ plaid is definitely one of my favorite trends I´ve loved for a while now. And when it´s better to wear it than in autumn and winter!?!... Already last year, I posted the best street style photos of this trend. The situation hasn´t changed so much, but this year I´m mostly fond of checkered skirts. Midi, mini, maxi, green, blue, red... no matter which one you choose, you´ll always look alluring. I personally have a crush on the monochrome ones (black-and-white) and I´m surely purchasing one in the next few days. All photos were randomly chosen from Google search.